Matt is the type of guy you would like to have as your neighbour, plenty of equipment to borrow in his shed, he is always happy to loan it out and with that normally comes a wealth of knowledge that he is also happy to share. Matt's experience of race craft spans over 30 years he has been racing and riding for almost all of this time, cycling has been his work, hobby and still today remains his passion. 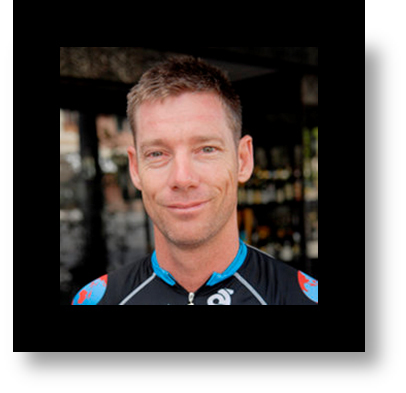 Matt started racing as a juvenile in the Bramble Bay Cycling Club in Redcliffe and today holds close to those original roots with a large commitment to Moreton Bay Cycling Club (MBCC). Racing with them and mentoring their many club members. In the Dark before the dawn of each day I get another opportunity be the best I can be in my life. Cycling is the vehicle I have chosen to leverage that and while I’m on the bike I feel unbeatable. Perturbation is a mathematical term to apply pressure and the effects of what happens when that pressure is applied. This is the best term I have found to best describe a cycling race, the harder the race is and the more pressure I feel the more I want to push myself. I believe that this is where an athlete is truly defined and to be able push past these points, will allow you to succeed in anything you put your mind to. All my goals and dreams will be achieved. Advice for young athletes: Stick to your program, if you don't have one, get one.